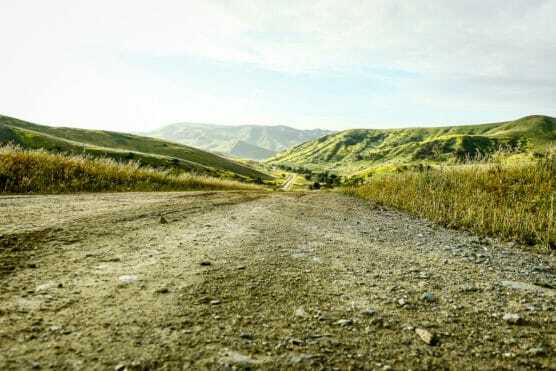 Camp Pendleton’s Heartbreak Ridge Half Marathon is one of those California half marathon events that has attracted growing numbers of runners each year, and for good reason – roughly 90 percent of the course runs on off-road trails through the hilly mountain wilderness of the Camp Pendleton Marine Corps base. Thanks to that, it offers a challenging race with scenery that’s totally different from other races in and around the San Diego area, which it’s located near. The 13.1-mile race — the longer of the two races in this event, though it is part of the Hard Corps Series of running and biking events that take place throughout the year at Camp Pendleton, including the Buffalo Alley 10K Run and the “World-Famous Mud Run” — starts and finishes at the base’s 43 Area Las Pulgas, just off Interstate 5 in the northwestern part of the base. 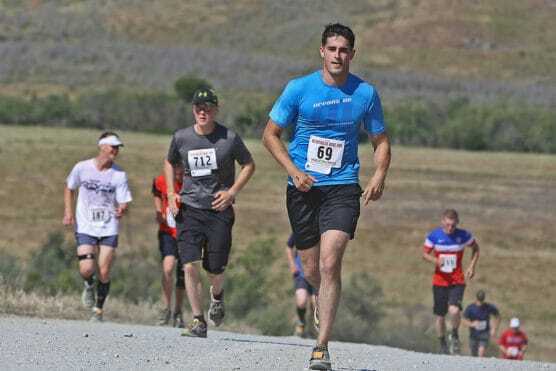 Though it’s not a trail running race per se, the out-and-back course is mostly off-road, taking runners along the packed gravel fire roads that meander through the hills and valleys of the base, with a few flat stretches mixed in along the way. There are some steep elevation changes along the course, which climbs a total of 1,280 feet over the course of the race, particularly between the second and fourth mile markers. Thankfully, those same uphills become downhills on the trek back toward the finish line in the second half of the race, which is all downhill for the last couple of miles. Runners who’ve participated in this race in recent years add that there are really no spectators out along the course, though the Marines who are manning the aid stations more than make up for it, enthusiastically encouraging runners along. The half marathon starts in two waves — the first for military, the second for civilians — and runners must complete the event by 11:45 AM. Water and aid stations are distributed about every mile along the course, and will have both water and electrolyte replacement fluids as well as medical aid stations. Located along the Pacific coastline of Southern California, about 75 miles from Los Angeles to the northwest, Camp Pendleton Marine Base tends to see relatively even temperatures throughout the year, with somewhat warmer and drier weather in the summer. On race day (April 13), the average low is 47ºF and the average high is 72ºF. See the race route map for the Heartbreak Ridge Half Marathon here. 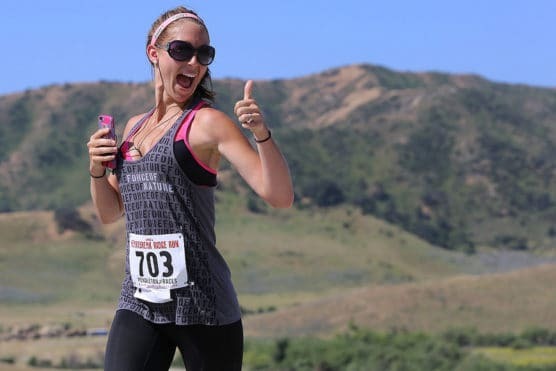 To reserve your spot in the 2019 running of Camp Pendleton’s Heartbreak Ridge Run Half Marathon, 10K, 5K or 1K race for kids, register online at Events.com here. Ever run in the Heartbreak Ridge Run? Share your impressions here, or post your review in the Comments below.